With the majority of the crowd inside NYCB LIVE, home of the Nassau Veterans Memorial Coliseum in Long Island native Noah Rubin’s corner, Jordan Thompson played spoiler on Monday night. The seventh-seeded Australian fought back to defeat Rubin 6-7(7), 7-5, 6-1 and advance to the New York Open second round. Thompson had several chances to break Rubin’s serve in the first set, setting up three break points before the set headed into a tiebreak. 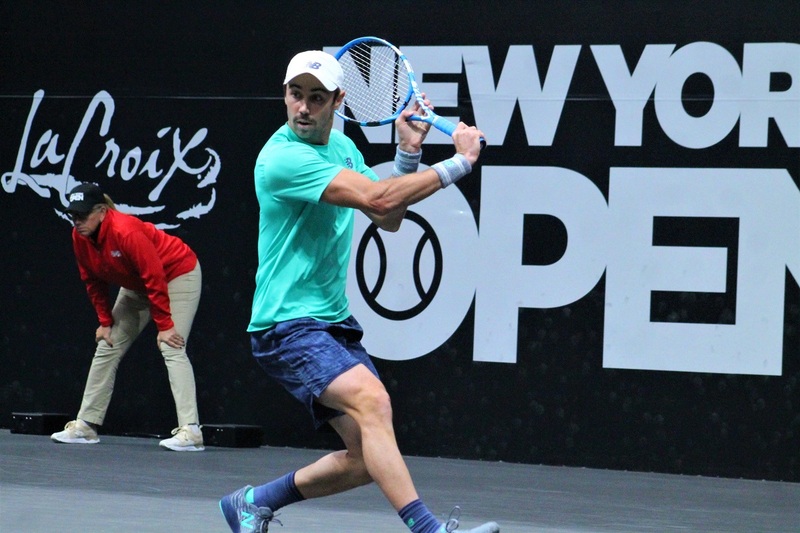 He then built a 6-2 advantage only to see Rubin fight back to even things at 6-6, with the Long Island crowd rising to its feet as the two players switched sides. A couple of points later, Rubin sealed the set after a Thompson backhand volley sailed wide, and the Aussie slammed his racket in frustration as he walked to his chair. Like the opener, the second set remained on serve until 5-5, when Rubin once again found himself battling inside one of his own service games. He managed to save more break points, but Thompson finally broke through to go ahead 6-5. In the ensuing service game, Thompson held serve to close out the second set and sent the match into a deciding third set. Before the third set, Rubin called the trainer as the pec and shoulder injury he hurt during Cleveland began to act up. Thompson would carry the momentum from his second set victory into the third, and won the first four games to build a lead he wouldn’t relinquish, closing out the first round victory in two hours and 35 minutes. 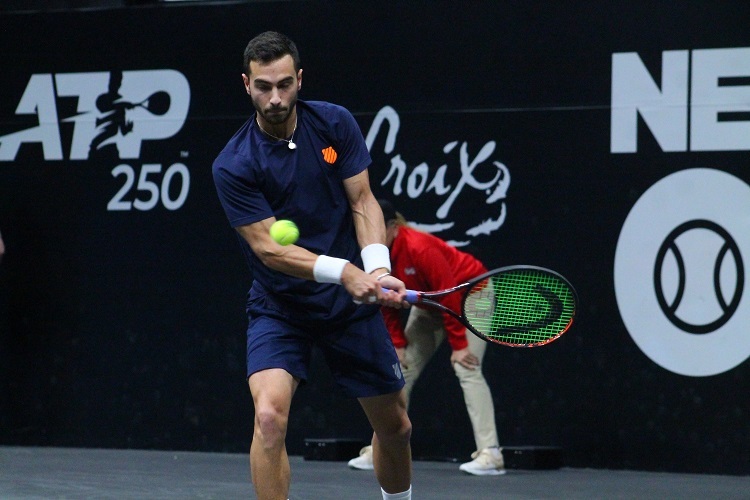 He moves on to play the winner of Chris Eubanks and Adrian Menendez-Maceiras, both of whom reached the main draw after coming through qualifying. For Rubin, while he always enjoys playing in front of friends and families and garnering the support of the New York crowd, he walks away from Monday’s defeat thinking what could have been. "Towards the second, whether it's nerves it always happens in New York for me, it's always a thing, you know. I get little twitches in the legs which leads to cramps a little bit. I can't really figure out what to do with it, and it's been a problem in the U.S. Open and obviously here," said Rubin. "I played some good tennis, saved some set points in the first set. I can take that with me, but it’s still a disappointing loss."